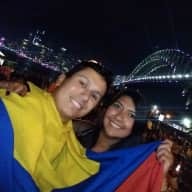 We are a 28 year old couple from Bogota-Colombia travelling around the world since November 2018. We have been together for 8 years (not married) and this travel is one of our dreams. We like meeting new people and understanding how other people around the world live. We've been in Australia, New Zealand, Singapur, Hong Kong and China already. We will be through Asia at least for the next 3 months. Our families have always been pet lovers, so we have grown up specially with dogs and cats and understand the responsibility of taking care of these little ones. I (Nataly) have a beagle called Lucas and he is 10 years old. My parents are taking care of him right now. And Sebastian has a local breed called Rocco. His father took him off the streets almost 2 years ago. 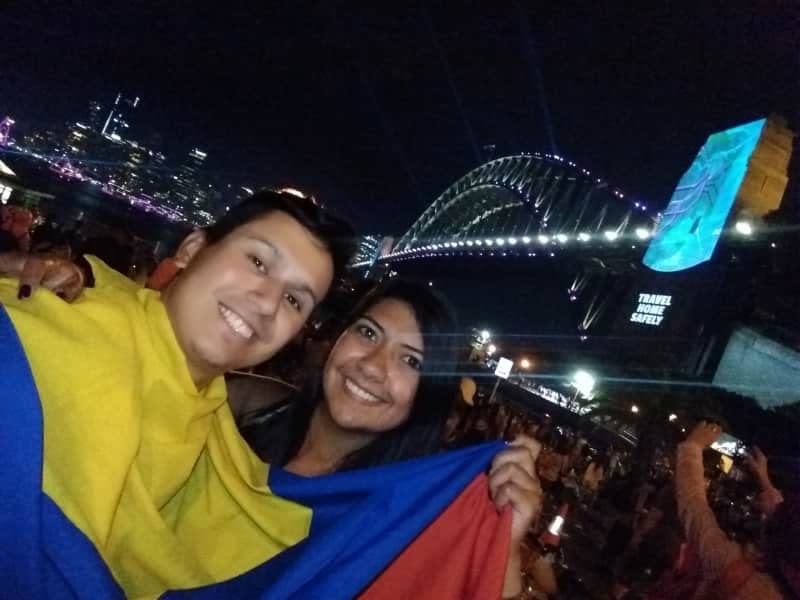 Nataly: I have worked the last 4 years in a retail company called Falabella as a financial analyst. Besides, I'm working with my best friend in a Startup focused in Gastronomical Tourism in Colombia. I live with my parents and my dog Lucas. My parents are teachers at schools and universities. I love riding my bike and even go to work on it. I like to dance, read, watch soccer and movies. I speak english (B1 level) and want to improve it during this travel. Also speak French in B1 level. Sebastian: I have worked for 10 years for BASF (Chemical Company) in the Import&Export Dpmnt. I started there as an intern. When I was 22 years old, I left my mother's house to begin my personal living experience. I must start cooking, doing laundry, housework, etc; it has been a great experience. I love animals, nature, playing and composing music as a hobby (I play drums at most) and I also do Crossfit training. I also like Motorcycles so badly jeje. I speak English in an advanced level and German in B2 level. We started this travel with the idea to make new friends and know new places, so Housesitting together with taking care of your animals is actually a perfect combination to spend time in a new country and have the warm of animals around. We also miss our pets very much, so this is also an opportunity to make a connection with animals and give them the love they need while their owners are away. We know that is really hard for them, even more than for us. We are familiar to the term "Housesitting", because since we started our travel we have been using a Help Exchange Platform called HelpX where you stay with local families and help with different houseworks in exchange of free acommodation and sometimes free meals. Houseworks include cleaning, gardening, sometimes building and of course taking care of their animals and houses while they are away during the day. We did 3 exchanges in New Zealand (a Palm Nursery with to big Schnauzers, a city family House with two lovely cats and a country family house with 2 dogs, a cat, cows, goats, etc.). Right now we are in farm in China with plenty of Dogs, pigs, chickens and even an Ostrich!. You can see some photos in our profile. 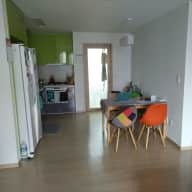 We have used also AirBnB many times and the experiences for us and for the hosts have been great. We really treat the places like our own home and keep them in good shape as we do with ours.